This Hub is a companion to “Part-writing Tonic and Dominant Chords 1”—hereafter, I’ll call it “PTD1”—a companion giving you practical exercises to help build your skill at part-writing. PTD1 sets forth some of the most basic concepts of part-writing, so if you haven’t read it yet, you should probably go back and do so before attempting the exercises below. How to write the most common Classical chord progression, with audio/video examples and easy-to-understand explanations. Learn about "lead sheets," chordal "voices," "spacing" and "doubling," "leading tones," "relative motion" and more. 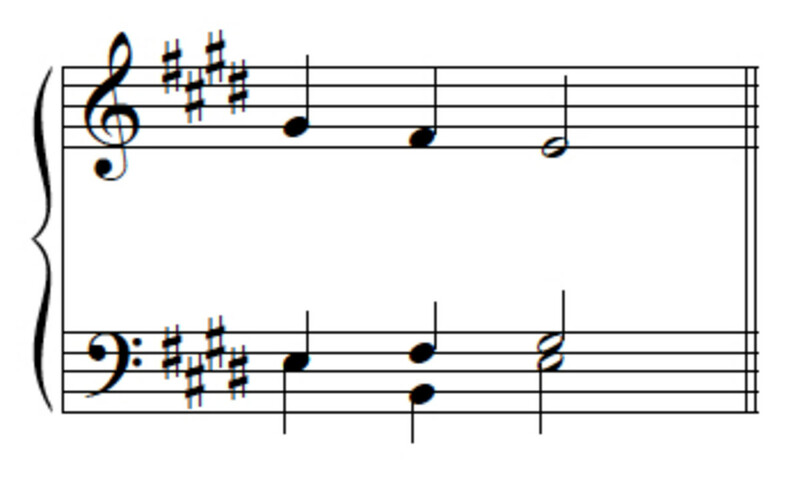 Chords are important musical building blocks, of course, but they aren't just isolated 'things.' Rather they belong more or less naturally in certain 'keys.' Learn about them here! 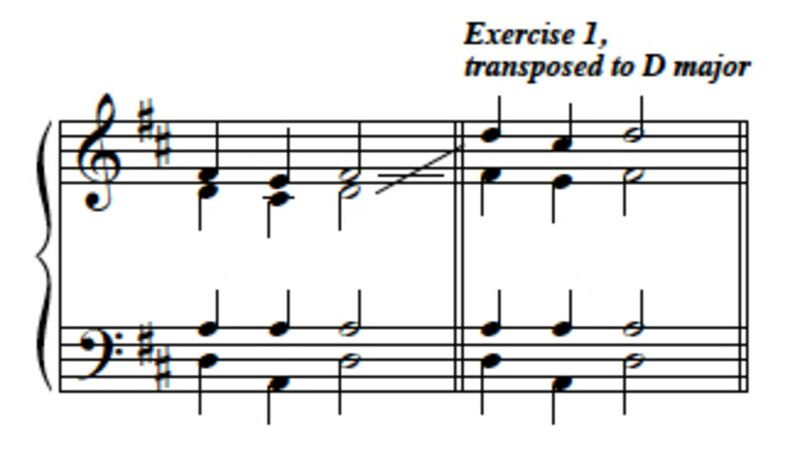 One “given” to get out of the way before we walk through the first exercise together: it’s usual in part-writing exercises to write for a four-part chorus. 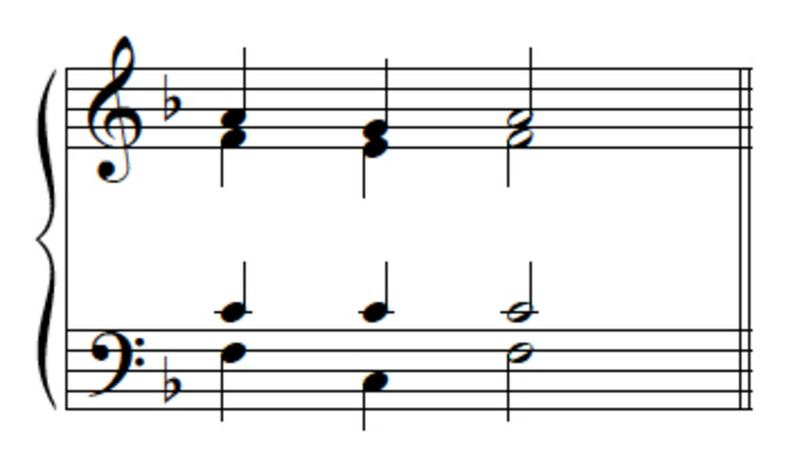 The four parts are soprano, alto, tenor and bass; the ranges for each are given in the example below. So as we add each part (or ‘voice’) we should make sure to keep each within its range. (The given part is always the soprano.) Always add the bass part first, then the two inner voices. Best would be to write the exercises out by hand on physical manuscript paper, though using a notation program would also be worthwhile. But if you simply read through the text, you won't get much out of it. 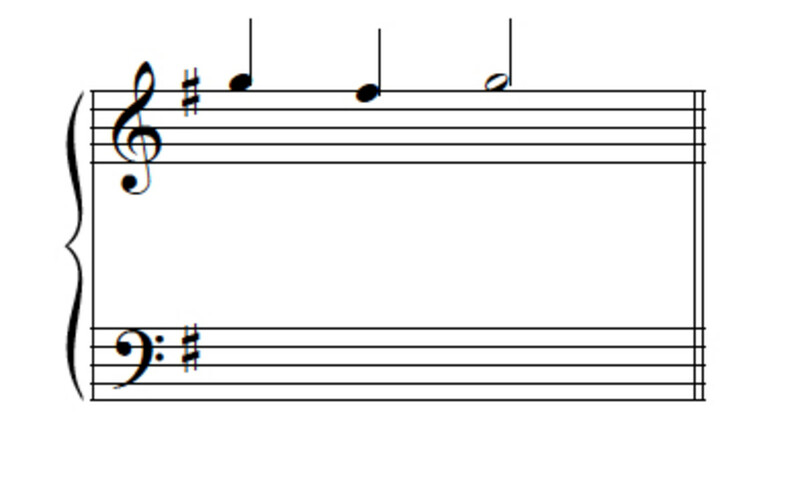 To make it easy, links to printable manuscript paper and to downloadable notation freeware are given in the sidebar. So take a few moments to arm yourself with paper or software, and then continue on to the exercises. 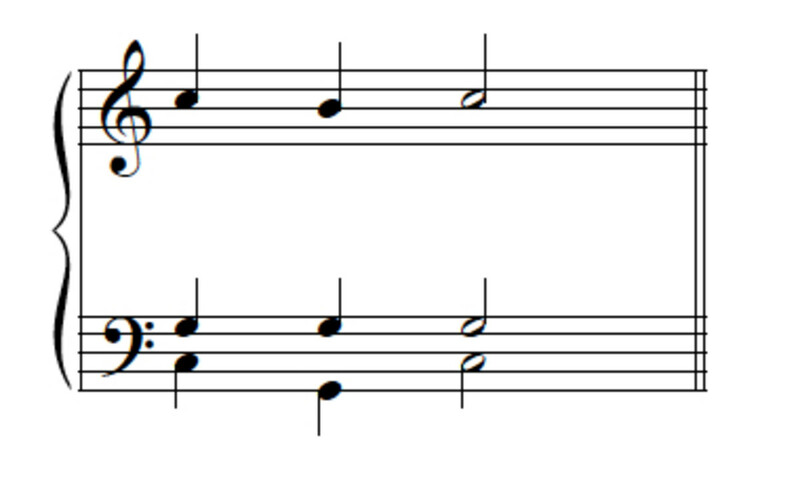 A free notation program. Disclaimer: Neither Doc Snow nor Hubpages has any connection to this software, nor assumes any responsibility for damages that may arise from its use. Its presentation here is a convenience, not a recommendation. 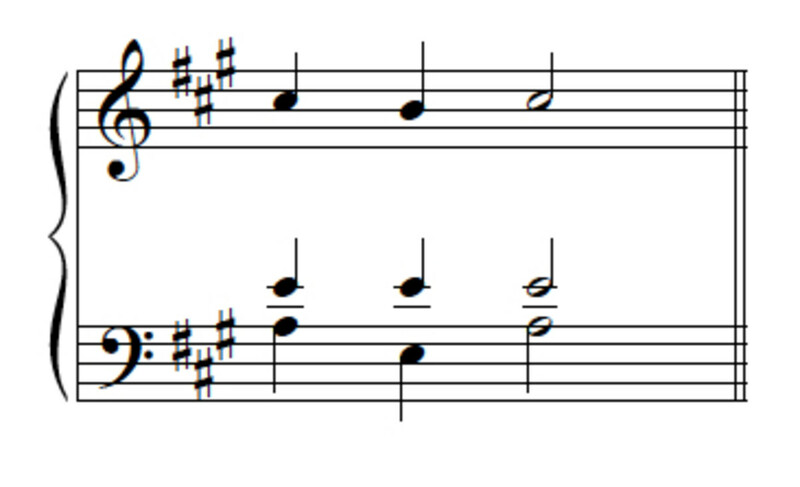 Exercise 1 is in C major—the key signature has no sharps and no flats. 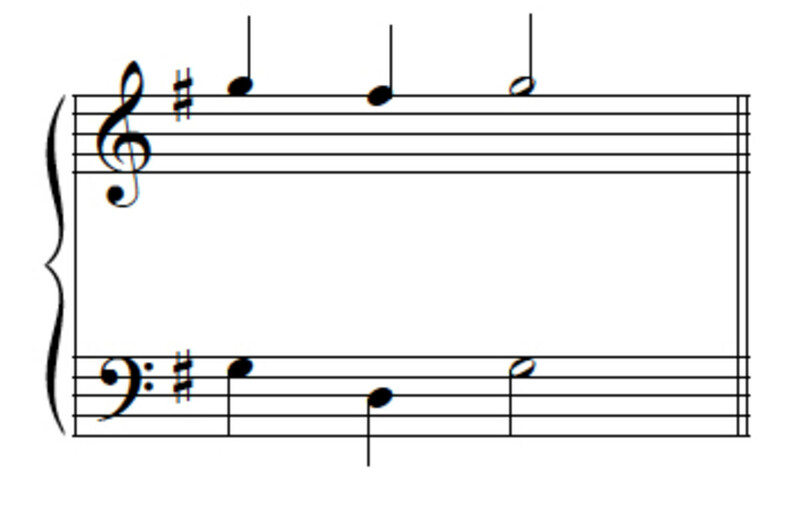 The given notes, c-b-c, lie on the scale degrees 1-7-1—since scale degree 1 is always the tone after which the key is named, and we are in the key of C major. Here’s the given voice for the first exercise. Copy it out on your manuscript, or enter it in your software. Start by adding the bass voice, since it is the easiest and most definitive. The bass notes are always going to be the ‘roots’ of the chords—if chord ‘roots’ are new for you, you may want to refer back to “Understand Chords: What Is A Triad?” That means that in these exercises the bass notes are always going to be the scale degrees 1-5-1. Go ahead and write down the bass line you've worked out. 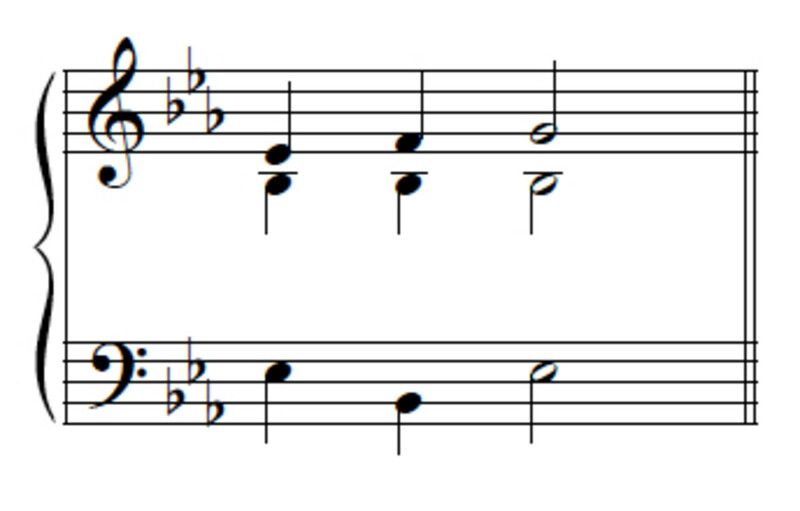 Here’s a possible bass part for Exercise 1. If you wrote it just as it is given here, great! But if you wrote the “G” an octave higher, or even one or both of the “Cs” an octave higher, don’t fret; that’s perfectly acceptable also. 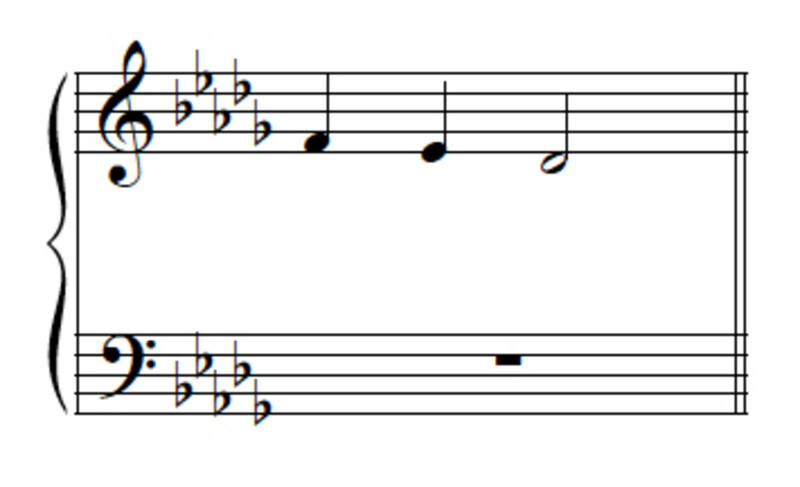 If you wrote the “C” an octave lower, though, that’s a bit below the bass range. 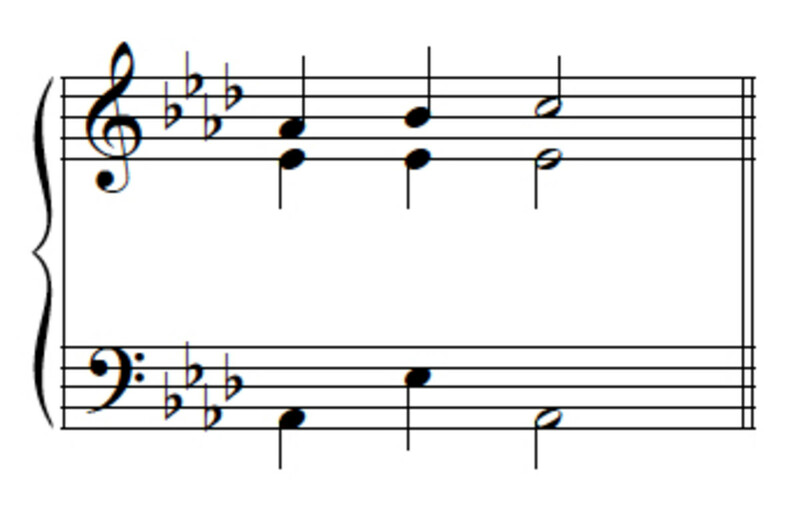 Similarly, a “G” two octaves higher would be above the allowable range. So far, we’ve added a “1-5-1” line to a “1-7-1” line. 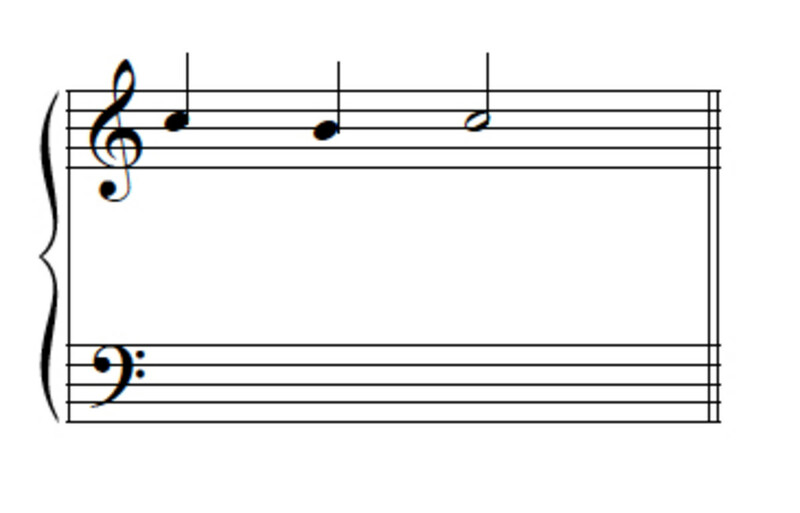 In PTD1, we discussed how the strategy of “keeping a common tone” normally works well with a “1-7-1” line. 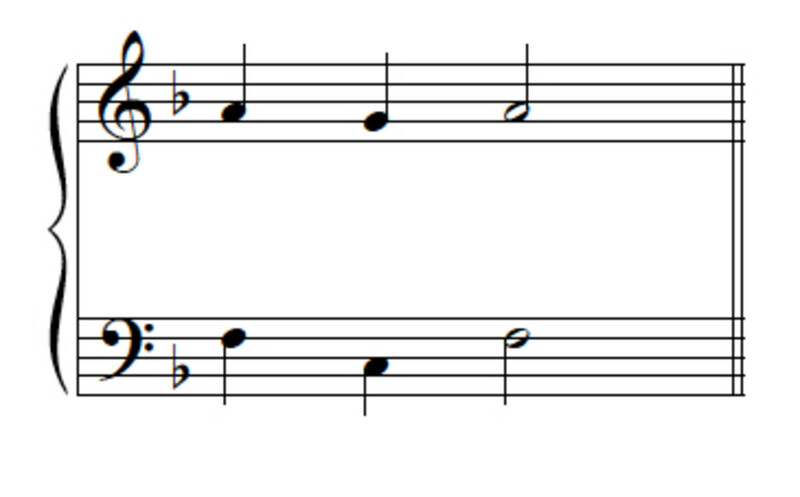 So, continue by adding a “5-5-5” common-tone line in one of the inner voices. 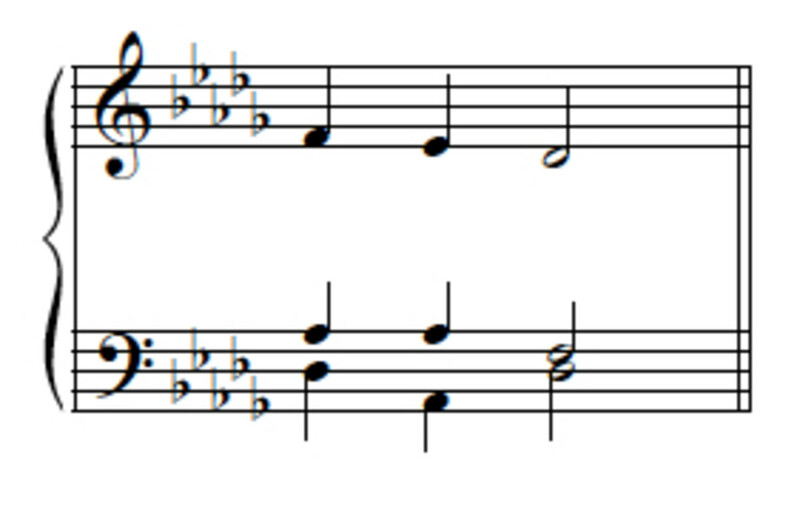 Does it work better in alto or tenor? So, we need to add the last part. There are a couple of ways to figure out what line we need to write. First, we could refer back to PTD1 and check which line works with the ones we already have. 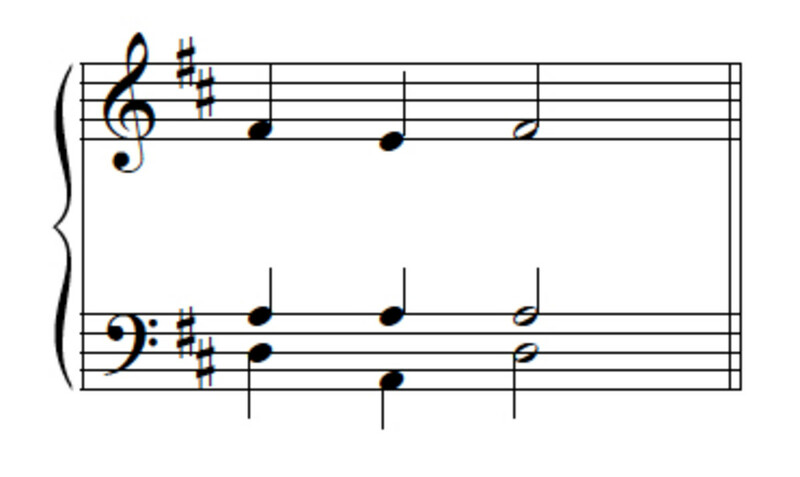 Alternately, we could think about what chord tones we are still missing, and work out our lines from there: Do the tonic chords have all three chord tones? 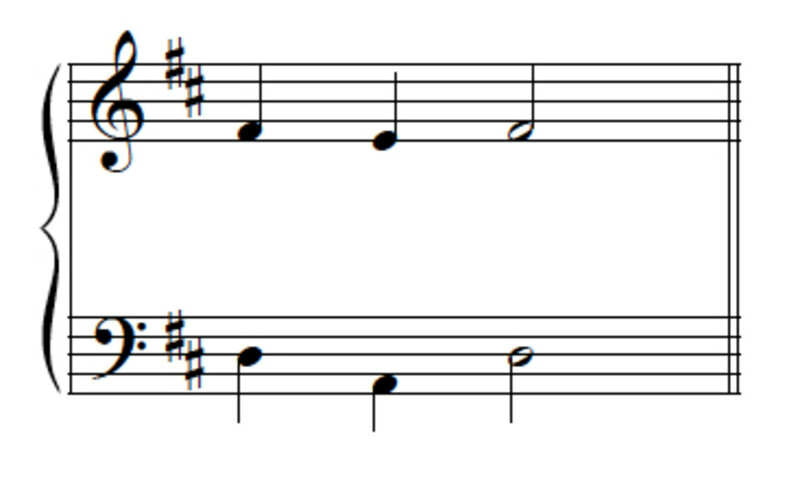 Does the dominant chord? 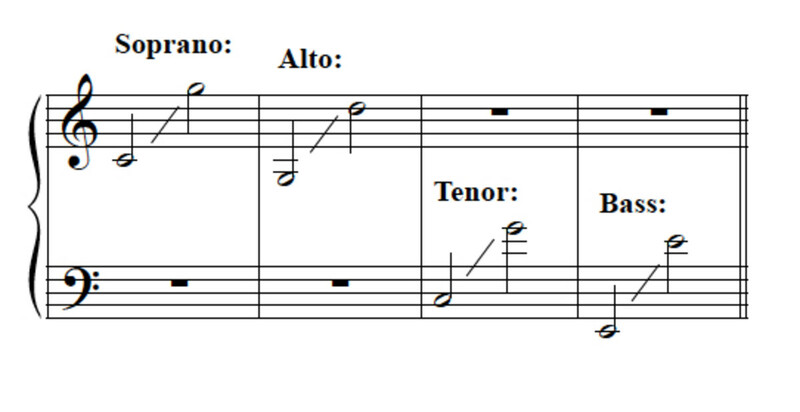 With those questions answered, you would arrange your line to include any missing tones. Here’s the final line, 3-2-3. 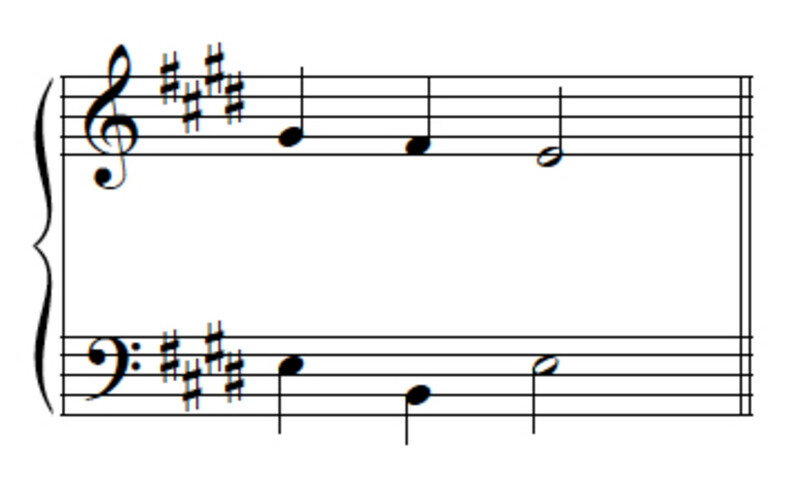 Notice how it runs parallel to the soprano, moving stepwise down, then back up, just as the soprano does. 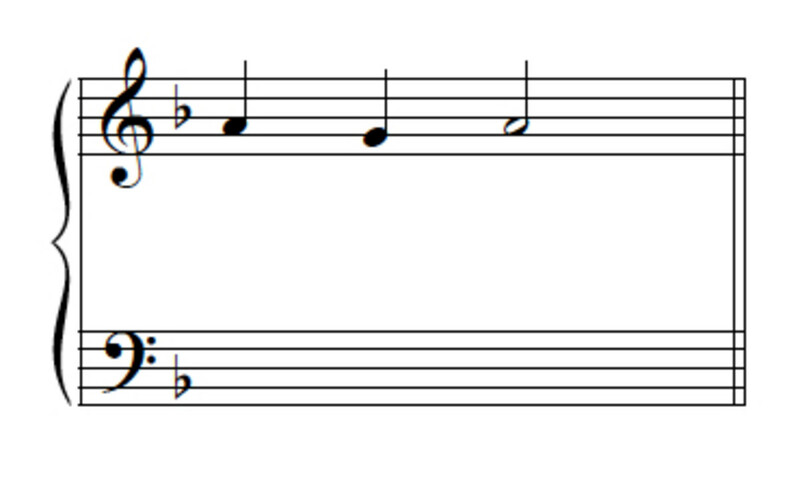 You may know the key that goes with this key signature, but if not, here’s a rule to help you out: for sharp keys, the last sharp in the key signature—the one farthest to the right—is always scale degree 7. 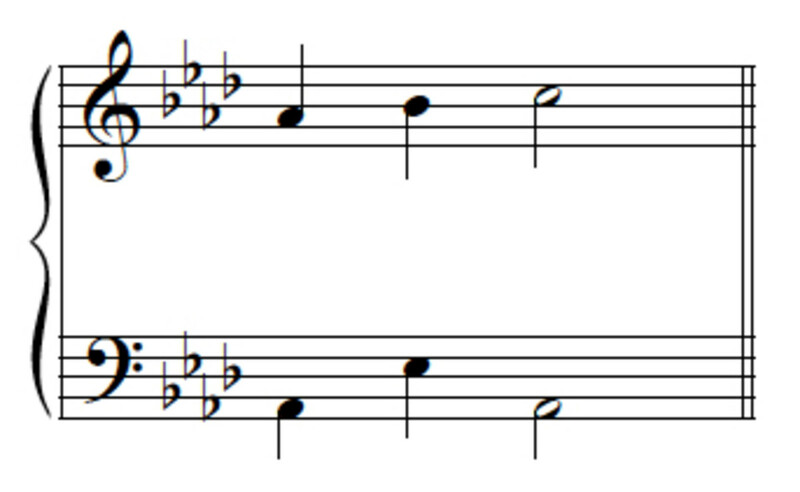 That means that the next higher note is scale degree 1, and as we noted above, scale degree 1 is by definition the key note or tonic. 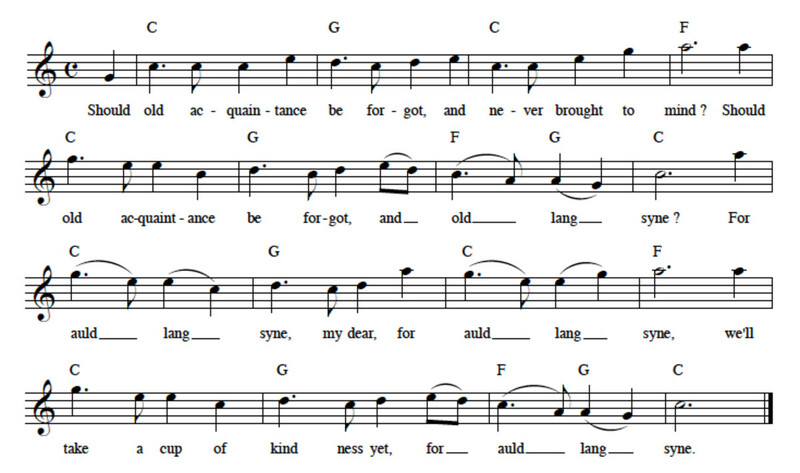 So, one note above “F#” would be “G,” and our key here would be G major. What are the scale degrees of which our given line consists? 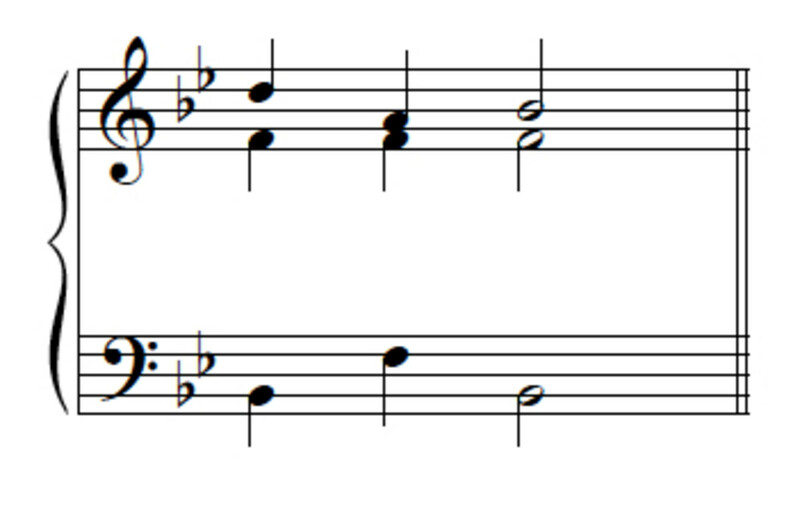 Proceed as before, adding first the bass line (“1-5-1”), then the line with common tone (“5-5-5”), and lastly the line in parallel motion. 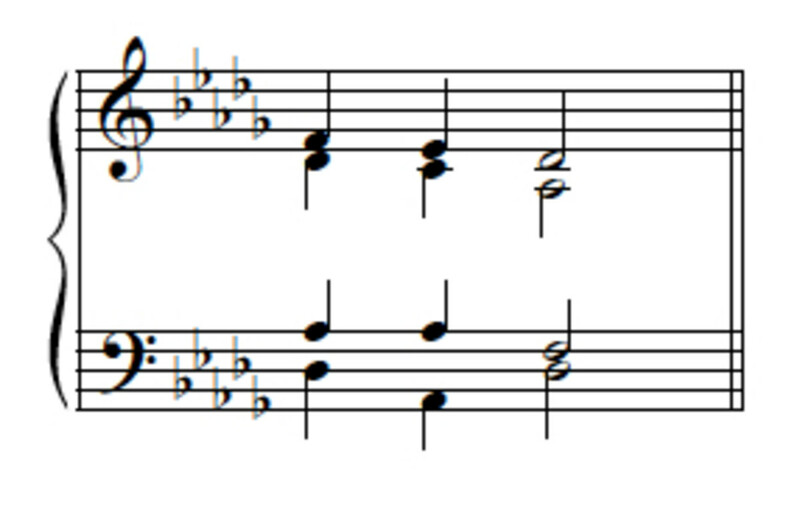 For Exercise 3, we have a new key and a new soprano line. What is the key, first? Use the rule above to figure that out if you don’t already know the key, and then decide what the line is. 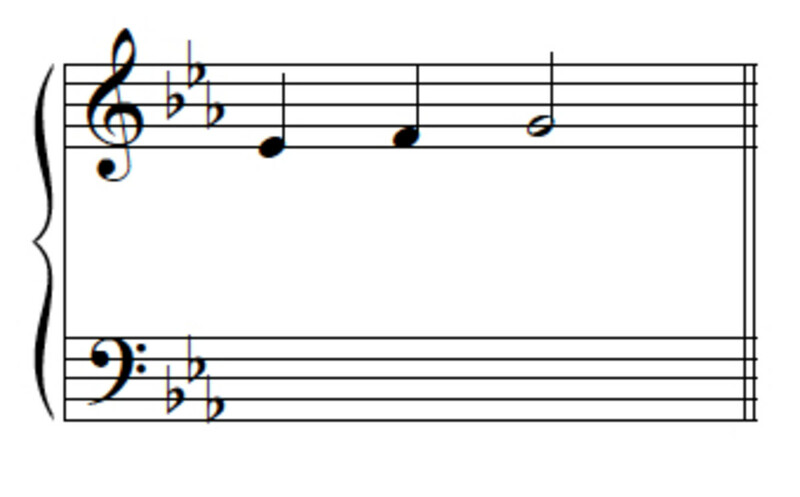 First, identify the key of exercise 4, then the scale degrees of the soprano line. In A major, we have a “3-2-3” soprano line. Complete, as for Exercise 3. 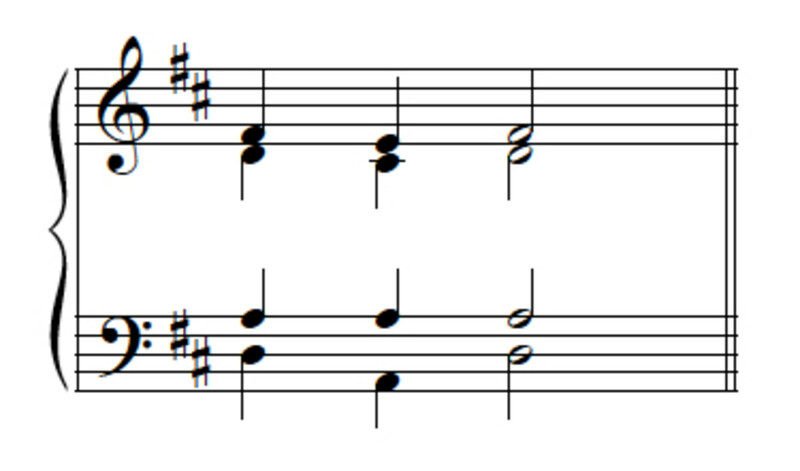 What’s the key and soprano line for Exercise 5? The answer, of course, is “3-2-1” in E major. We saw in PTD1 that this line can often be accompanied in contrary motion. Can you apply this pattern to Exercise 5? 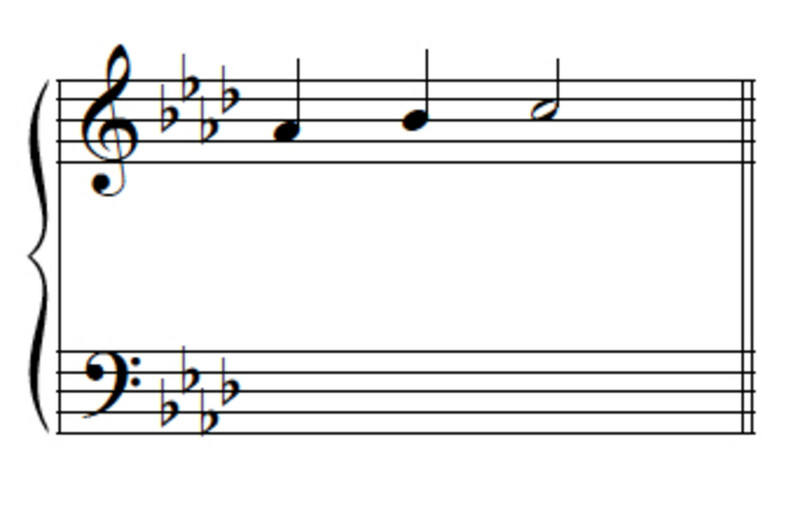 Exercise 6 brings us to a new challenge: flat keys. 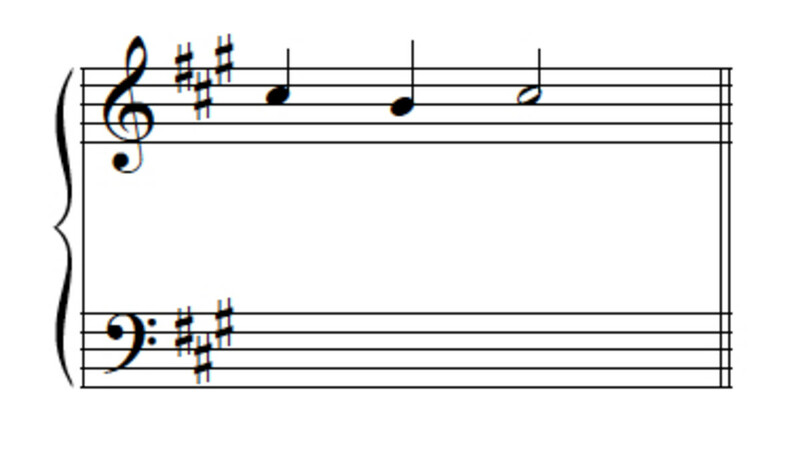 If you already know your keys, not a problem; but if not, how do you identify flat keys from their key signature? 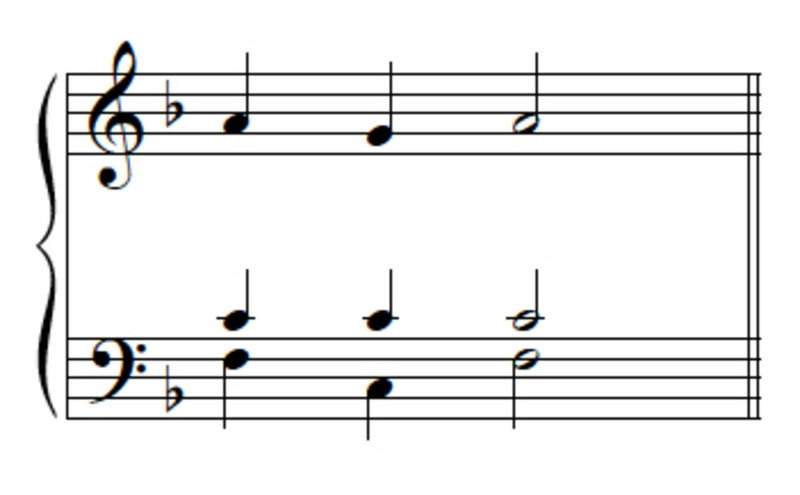 By way of compensation for this wrinkle, the given soprano line is a familiar one. Identify it and supply the missing lines to complete the I-V-I progression. 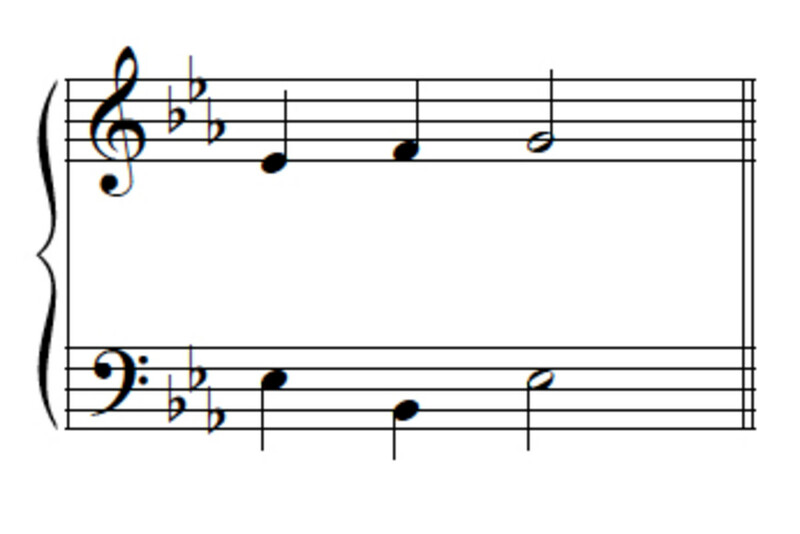 Exercise 7 brings a different soprano line into the mix. Identify it, and the key. 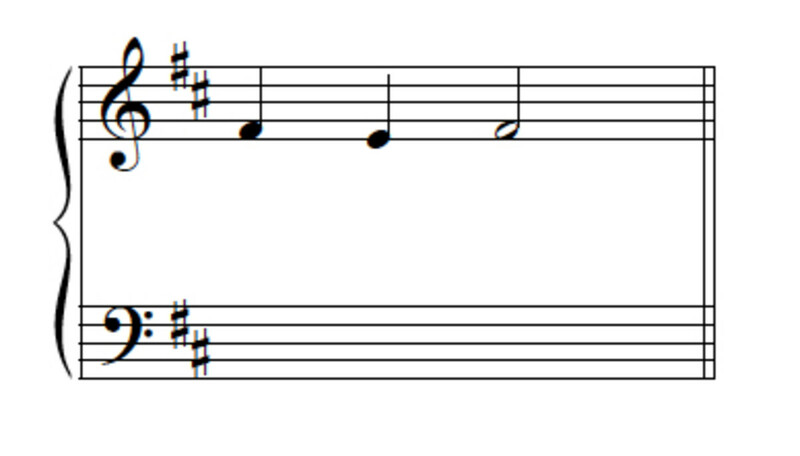 If you said Bb major, and “3-7-1,” you are two-for-two on the exercise. 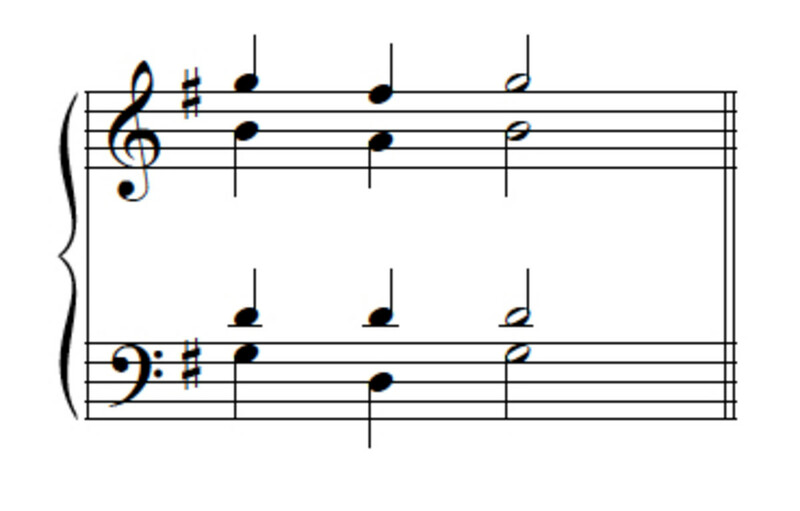 Notice that your second-last flat is also your tonic; this will be the case for all key signatures with two or more flats—and is handier than counting down four scale degrees from the last flat, as we had to do for the key of F major. Now, supply the remaining voices. 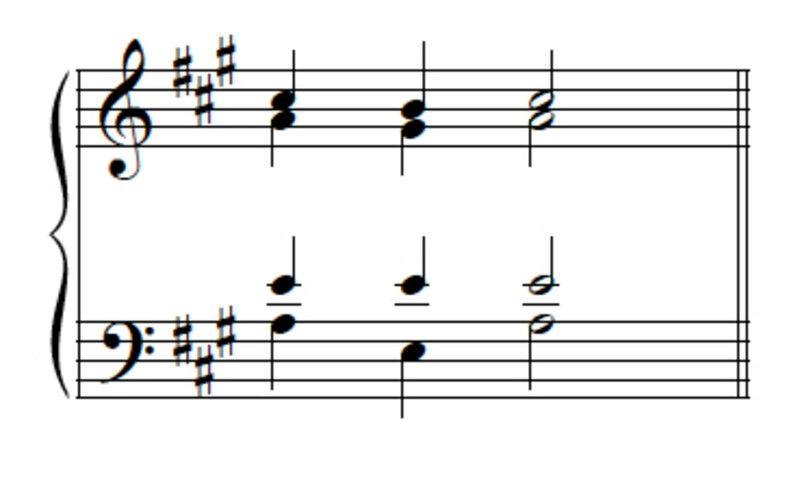 As seen in PTD1, the “3-7-1” can be paired with the “1-2-3” line, allowing the use of a common tone. Exercise 8 will seem familiar. 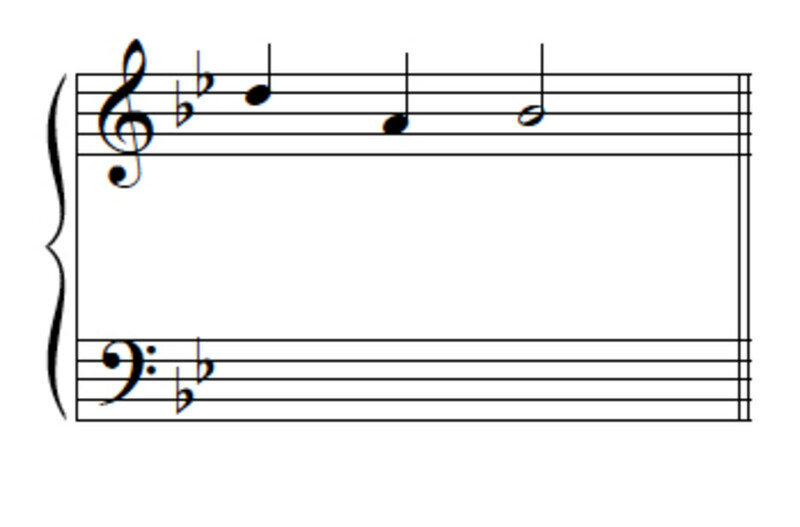 Just be careful, when you name the key, to take the key signature’s effects fully into account! A “1-2-3” line in Eb. 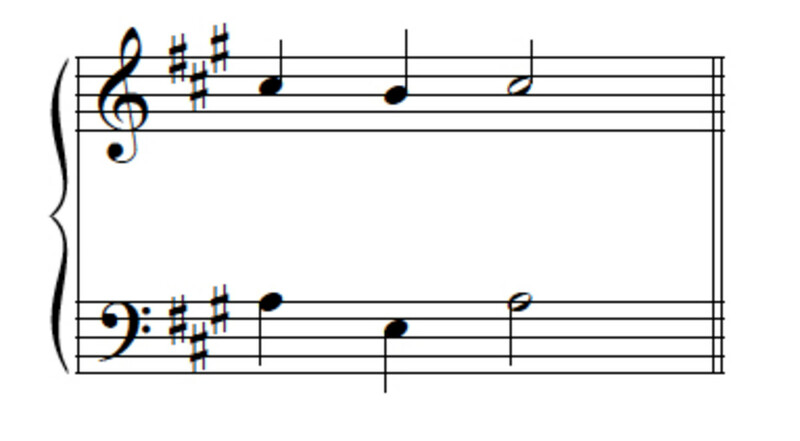 (If you were using the ‘flat key’ rule to figure out the key, and forgot to apply the flat in the key signature to the name of the tonic, you might have said “E major”—not, of course, correct!) And the other lines? There are two possibilities, at least. 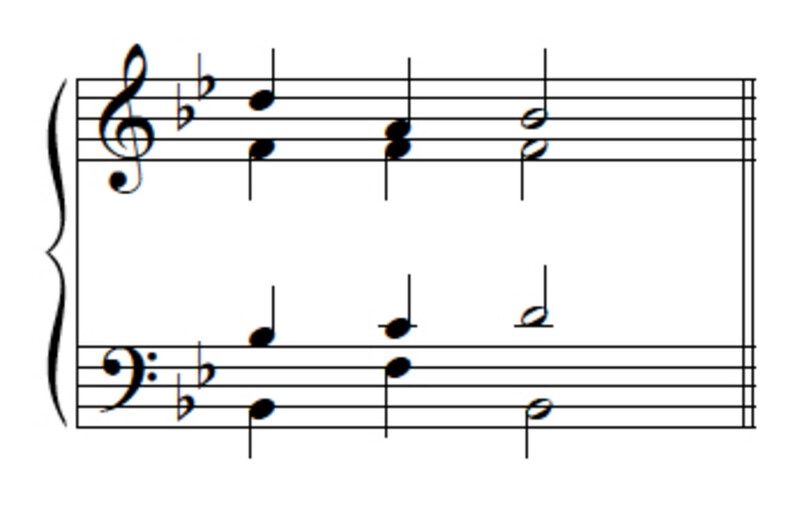 First, one can use the “3-7-1” line, as in the last exercises. But it’s also perfectly fine to use the “5-7-1” line, as shown. What’s the key and given line for Exercise 9? Once you have the answer, use a common tone in your 4-part setting. 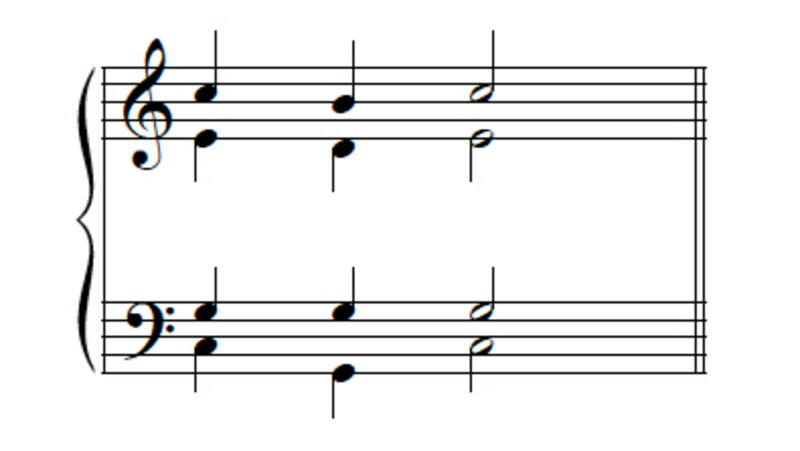 The tenor would end in unison with the bass—that is, on the same pitch—and would be low in its range, but those things are acceptable. 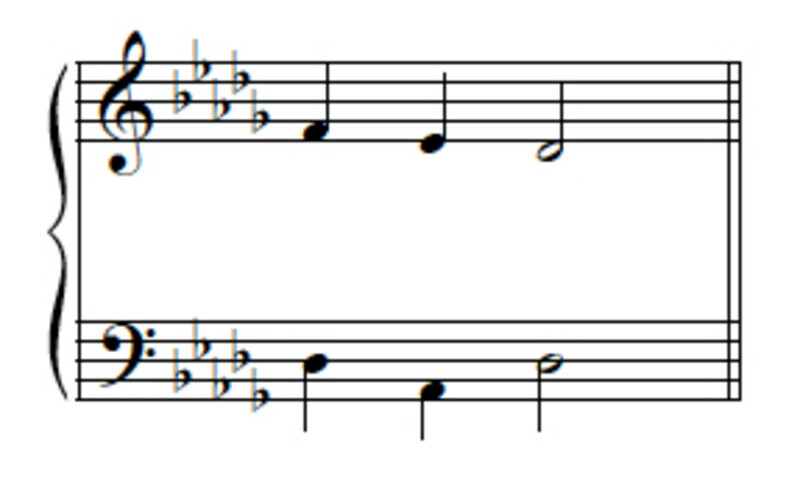 There is another solution, though, one involving a different modification of the common-tone line. See if you can find it. 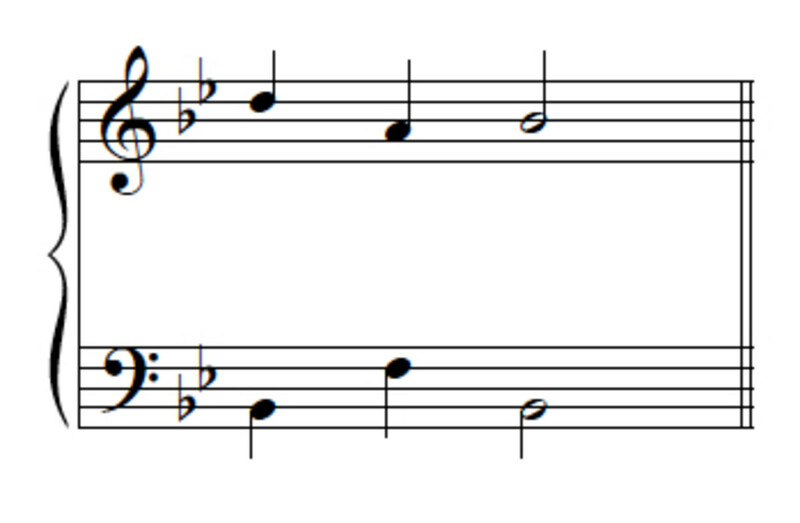 Here the alto voice skips away from the expected resolution of the leading tone, "C," in order to fill in the fifth of the tonic triad, the "Ab." 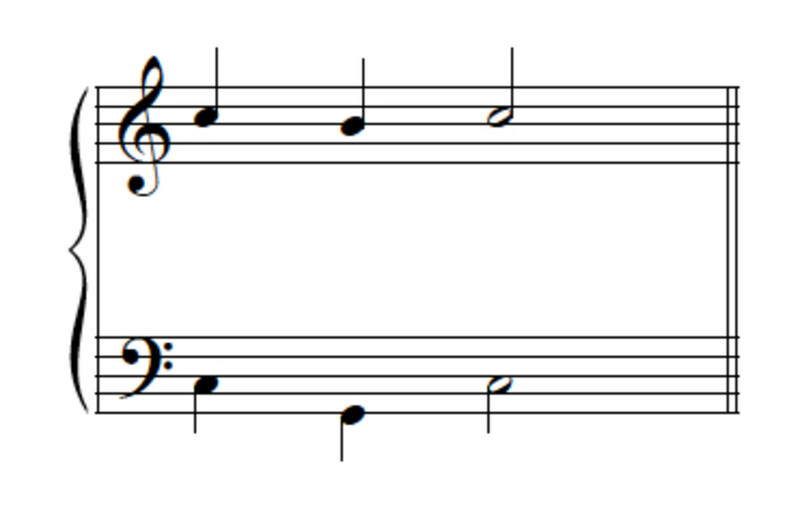 Similarly, the tenor abandons the common tone so that it can provide the needed third--"F."
This is a very common voice-leading, especially at cadences, where the soprano is apt to descend to the tonic. 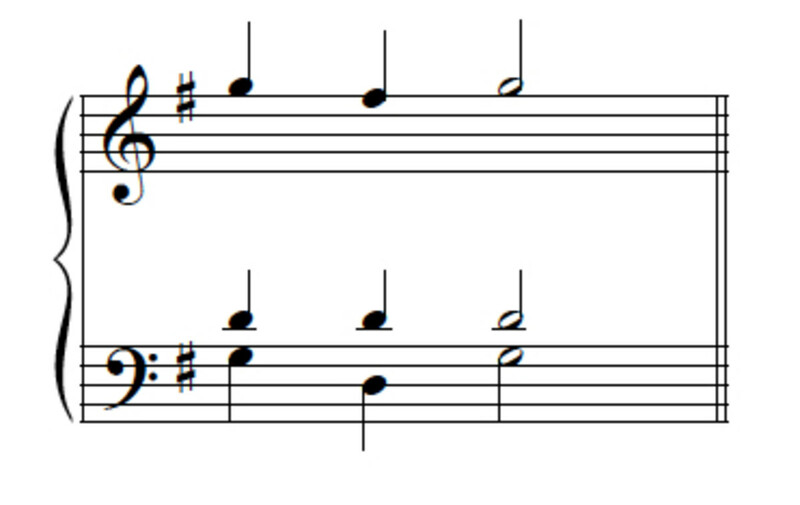 Alto and tenor choristers get to know these 'fill-in' lines very well! Some fun stuff, some serious stuff--can you tell the difference? Find out at Doc Snow's music theory blog. So, that's our quick course in part-writing the tonic-dominant connection. 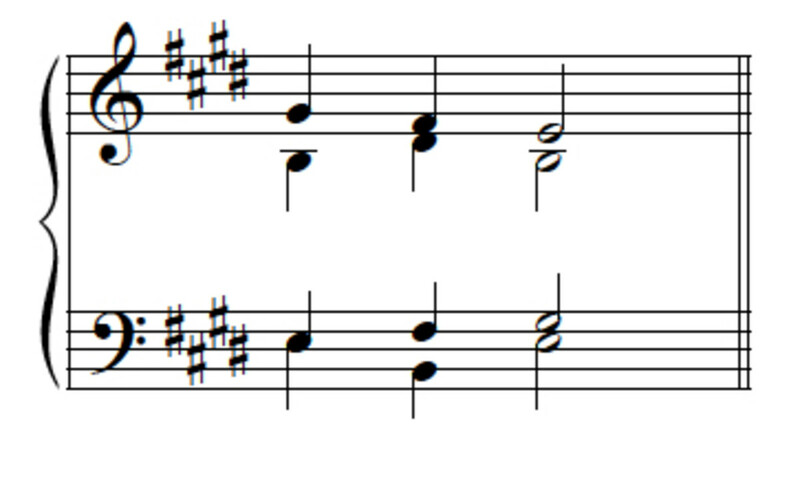 Naturally, it doesn't cover absolutely every way of writing these chords; even for such a short progression, there are many possibilities. 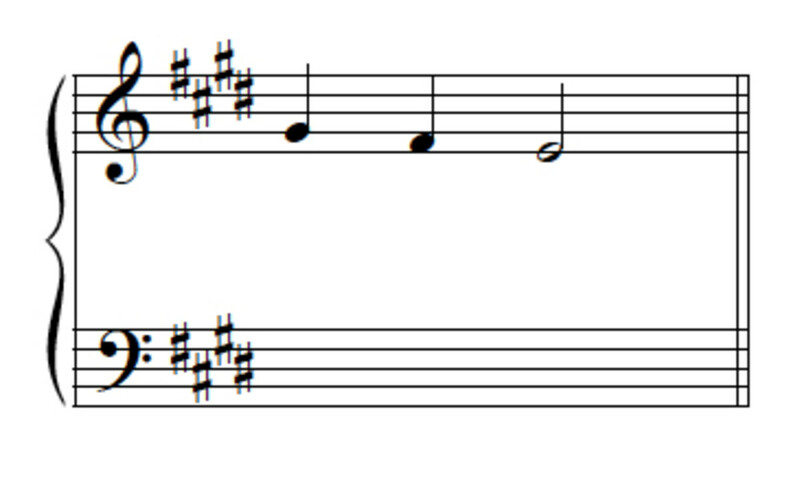 But the versions of this essential progression you've practiced here are ones that you will see (and write yourself, if you continue your study of music theory) over and over again. 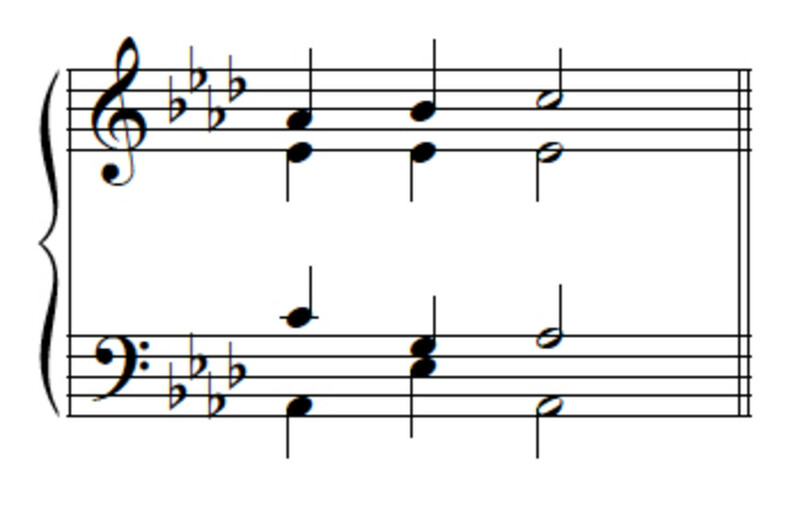 Just as importantly, they give us a solid foundation to work from as we learn to learn to part-write other chords (and other chordal relationships.) 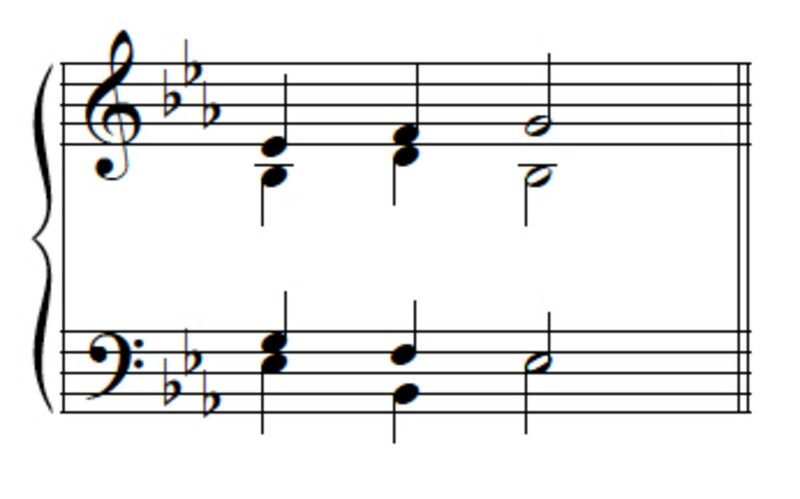 The next chord we'll focus on will be the sub-dominant--the IV chord. Practice more efficiently and get better faster with these practical strategies! Topics include practicing for continuity versus practicing for problem-solving; changing the terms of the practice problem; and practicing with a metronome. Hey, thanks guys--glad it worked for you! 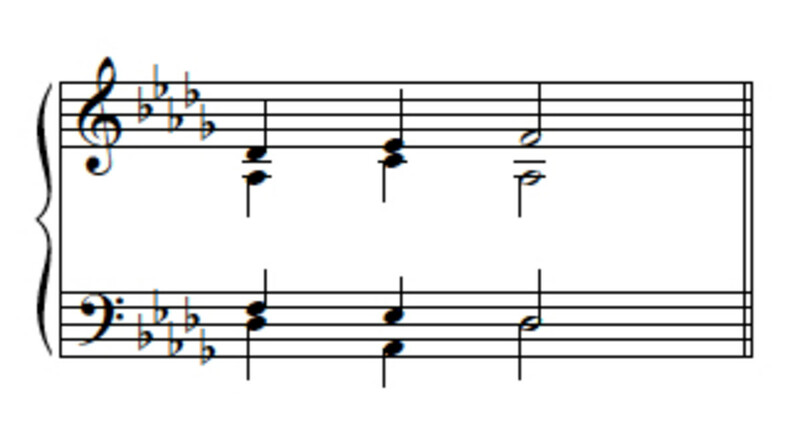 My goal is to work up to fairly complete coverage of the diatonic chords, so watch for future installments! That's an impressive amount of info you've packed in there, Doc. Clear and easy to follow too. Great hub. I hope you found this Hub helpful! But just in case something was confusing, unclear, or provoked another question in your mind, we have this handy comment capsule where you can let me know all about it. So, do let me know what's on your mind about this Hub--and thanks for coming by!